There isn't an occupied seat in the audience, but the Charles B. Goddard Center for the Visual and Performing Arts is bustling with activity. A crew with the Ardmore Little Theater works to transform the empty main stage into the iconic setting of August: Osage County. The whirring sounds of construction fill the auditorium as a director weaves among stagehands, guiding them as to how soft the stage lights need to be as the curtains open for Act One. Meanwhile, elsewhere in the building, a resident artist assists senior citizens with creating their first watercolor; a dance teacher instructs five little ballerinas in how to plié; and a classroom of students walk their parents through an art gallery, proudly displaying their works. Like a Jackson Pollack painting, the Goddard Center has a lot going on. But, if a person takes a step back and views the image as a whole, one will find that each component works in sync to form a living masterpiece. Painting classes are just one way the Goddard Center brings art appreciation to southern Oklahoma residents. It was Charles B. Goddard's wife, Ethel, who dreamed of a center for the arts in her community. She was the librarian for Ardmore High School, and her best friend, Lil Williams, was an actor, director and key player in Ardmore's community theater. Like their friendship, Ethel believed the arts and the classroom worked beautifully together. She set out to make it happen. The center broke ground for construction in Ardmore, Okla., in 1969. Ethel chose to name it the Charles B. Goddard Center for the Visual and Performing Arts in honor of her late husband, a man she described as the most generous person she had ever known. A photo capturing the groundbreaking ceremony hangs in the Goddard Center's administrative office. The black-and-white image of Ethel can be seen smiling proudly while surrounded by her many supporters. One of those supporters was, and still is, The Samuel Roberts Noble Foundation. Since the groundbreaking, the Noble Foundation has provided more than $1 million in grants. In 2013, the organization continued its tradition of support with an additional $30,000 for operational funds and outreach programs. 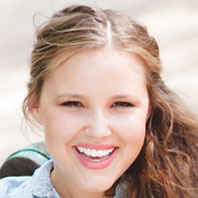 "The Goddard Center provides social programs and community projects that improve the quality of life in southern Oklahoma," said Mary Kate Wilson, director of philanthropy, engagement and project management at the Noble Foundation. "We are proud to assist in continuing that legacy of service." The kinship between the two organizations came naturally. The Goddard Center and the Noble Foundation share similar roots - ones that have grown deeper and more entwined through the decades. Both Charles B. Goddard and the Noble Foundation's founder, Lloyd Noble, were Oklahoma wildcatters, accomplished entrepreneurs and dedicated philanthropists. The Goddard Center and the Noble Foundation both call Ardmore home. And each generation of respective leaders has joined in supporting each other's organization by serving on boards, as trustees, members and volunteers. "I think the relationship between the center and the Foundation speaks volumes for both organizations," said Leila Lenore, executive director at the Goddard Center. 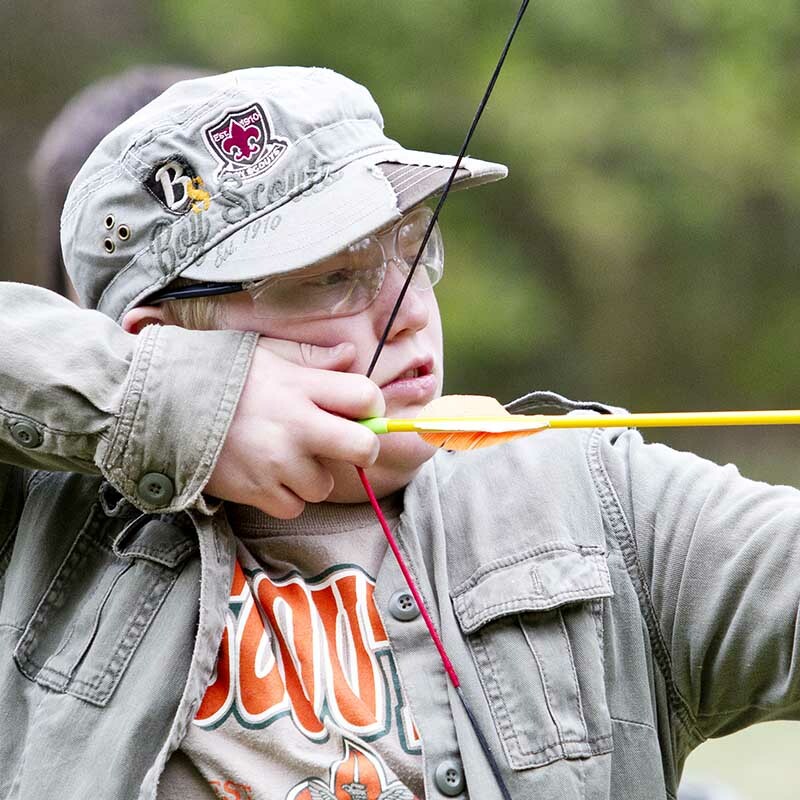 "The impact of the grant monies we receive from the Noble Foundation cannot be overstated. The educational, economic and social dividends provided by the performing and visual arts are important to both the vitality and viability of southern Oklahoma." Construction of the Goddard Center building in downtown Ardmore began in 1969. Ethel Goddard passed away before the Goddard Center opened its doors to the public, but her passion for joining culture with community continues. Today, hundreds of children, adults and senior citizens attend any of the 12 art classes and workshops available each semester. Classes range from pottery, drawing and painting to granite sculpting, which is taught by 2008 National Medal of Arts recipient Jesús Morales. The center is also home to the Ardmore Little Theatre, a nonprofit performing arts organization. 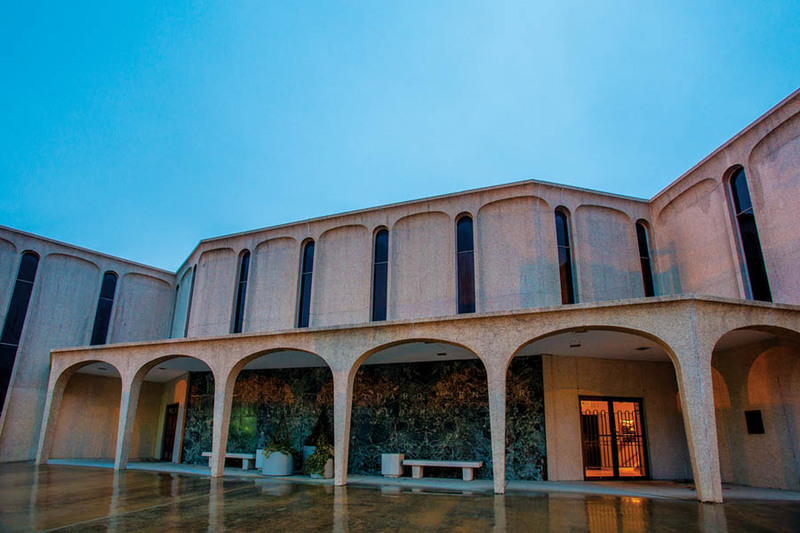 The quality and frequency of new performances, exhibits and classes held at the Goddard Center is dependent on grants, donations, sponsorships and revenue generated from the center's 500 memberships. An average of eight performances and six traveling exhibits are hosted each year, featuring regional and professional artists. 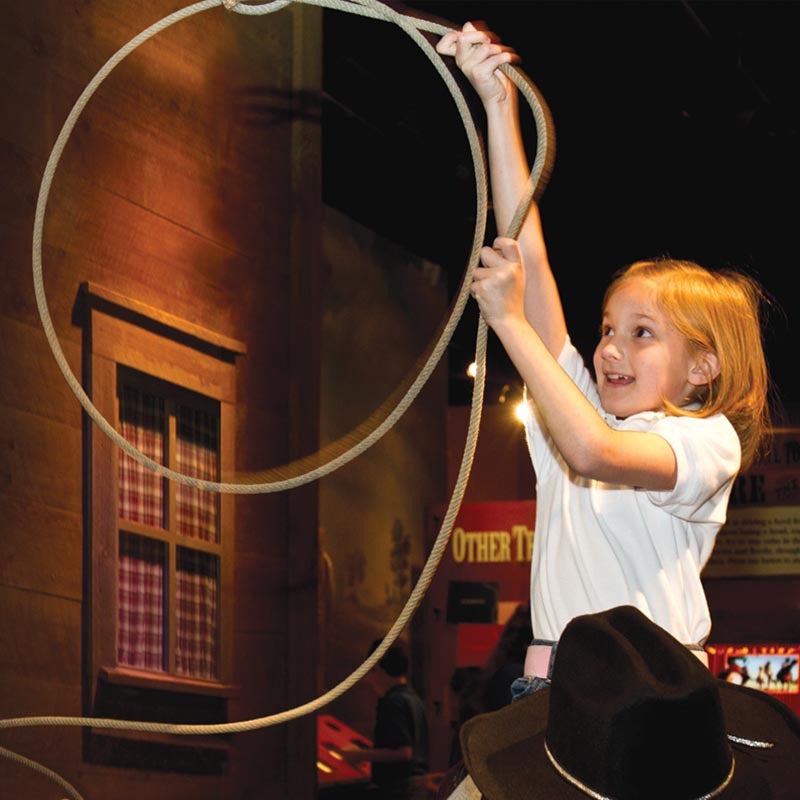 In the 2013-2014 season, the center will host American cultural performances, Made in Oklahoma exhibits and the Oklahoma Arts Conference. Even Metropolitan Opera performances will be live-streamed from New York City directly into the center's theater which features a large two-story screen. Yet the center's mission isn't confined to its own walls. Outreach programs, funded by donors like the Noble Foundation, take art out of the gallery and into the community. These programs provide scholarships for summer art camps and art classes; free performances for local school groups and gallery tours; and free dance and movement lessons at preschools. The Goddard Center has also launched an integrated arts program as part of their outreach efforts, beginning with Jefferson Elementary School in Ardmore. "I think teaching is so strict and focused on meeting certain standards that we've lost some creativity in the classroom," said Robyn Spriggs, a music teacher at Jefferson Elementary. "Art allows our students to open their minds and see things in a different light." The program enabled the school to hire an art instructor to work with teachers to integrate art into everyday lessons. Students learned to associate movement with vocabulary and incorporated cultural art into history courses. This style of learning offered a different and effective way for students to retain information while gaining confidence. Soon after the program began, students' speaking and presentation skills improved. "Since bringing art into the classroom, we have watched our students' self-esteem skyrocket," Spriggs said. "That self-esteem translates into other areas. Our test scores have improved significantly, and we have been able to steadily maintain higher scores." Following the success of Jefferson Elementary, the Goddard Center has moved their program to Ardmore's Lincoln Elementary School. The Goddard Center continues to use these art programs as a tool for educational reform, social change and economic activity in southern Oklahoma. 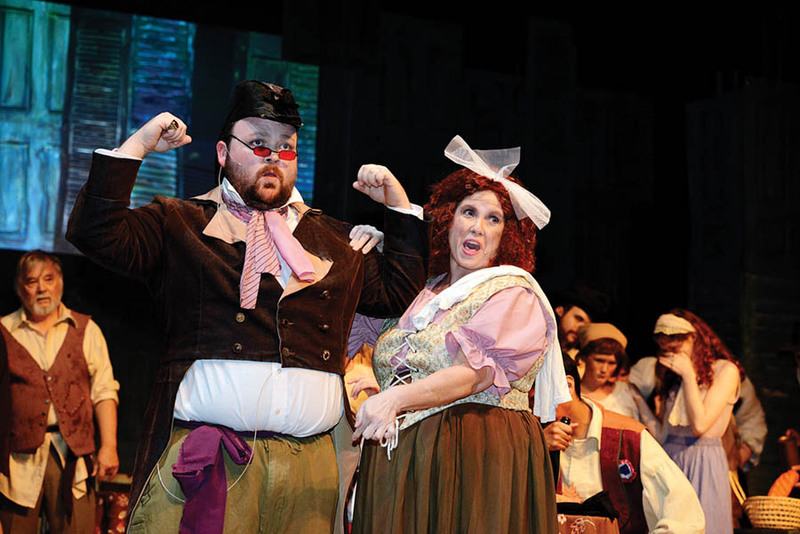 Actors in an Ardmore Little Theater group perform Les Misérables on the Goddard Center stage. 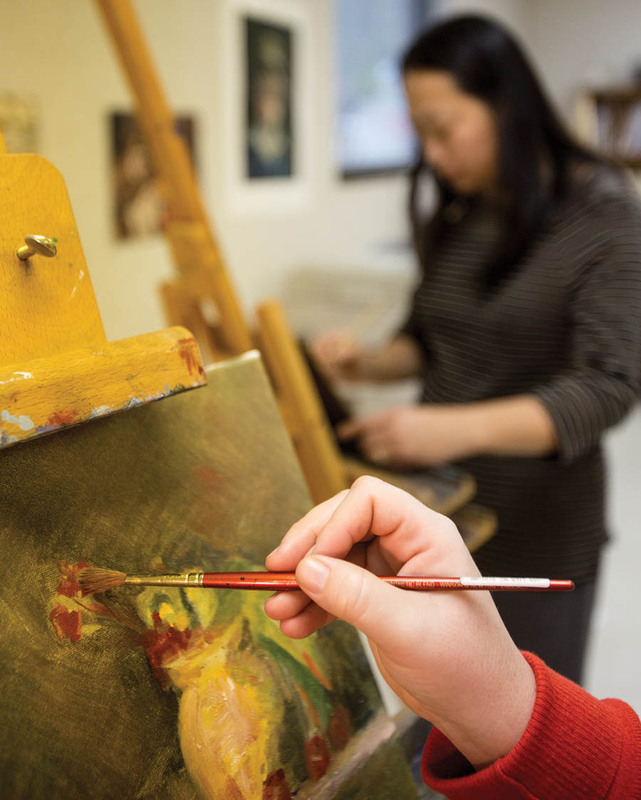 While Ethel's passion for education is still at the forefront of the Goddard Center's outreach efforts, serving the community through art doesn't stop with the students. 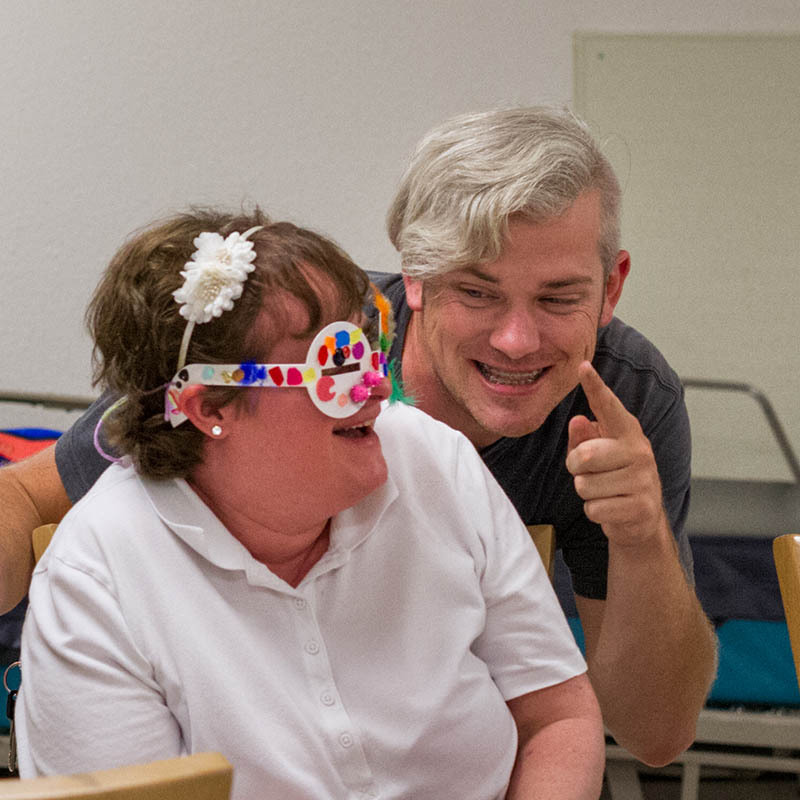 The Goddard Center believes art is for everyone, especially underserved citizens. In that spirit, the center provides free concert opportunities to senior citizen centers, veterans, and people with mental, physical or developmental disabilities. Watching a child discover her passion for dance or a stroke victim regain the use of his hands through a pottery class has made the center's efforts worthwhile to everyone who has donated their time or money to the mission. "At its core, art transcends languages, cultures, disabilities and age," Lenore said. "It is the great equalizer in a multicultural community that can be enjoyed, no matter your background or socioeconomic status." According to Regina Turrentine, a volunteer, the center has become a home for many. While organizations designed for the arts can sometimes be viewed as a place for a select few, the Goddard Center is a bustling and welcoming place for everyone and every artistic taste, she said. A growing interest in the arts has recently fueled more diversity in musical performances at the Goddard Center - like Junior Brown, John Fullbright, and The Black Lilies - in addition to classical genres. In Turrentine's nearly 40 years as a volunteer, she has seen the center's work return to it 10-fold. Volunteer and membership numbers have increased, community involvement has been sparked, and the arts have gone from sparse to alive and well in southern Oklahoma. Turrentine believes art has changed Ardmore, then art can change the world. "The world is chaotic and besieged," Turrentine said. "But when people see beauty, they become more beautiful in their behavior and expectations. To walk into the Goddard Center and see all the beauty happening here - it's magic." © The Samuel Roberts Noble Foundation, Inc.